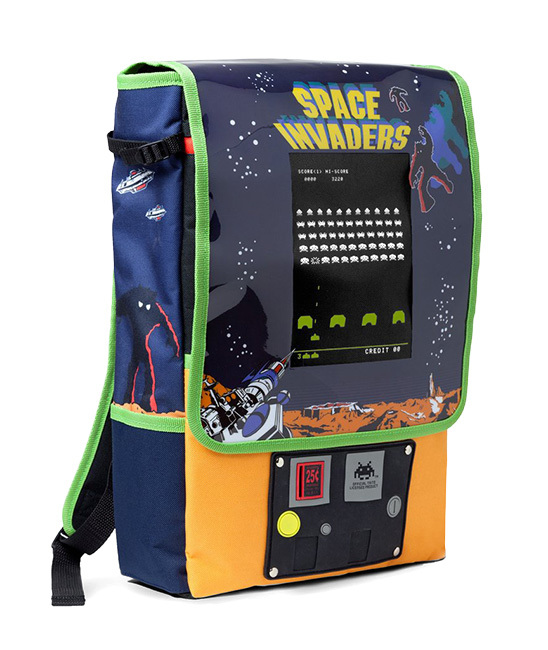 ThinkGeek is featuring an officially licensed Space Invaders Arcade Cabinet Backpack ($49.99) that provides a retro way of storing all of your small, medium, and large alien invaders. 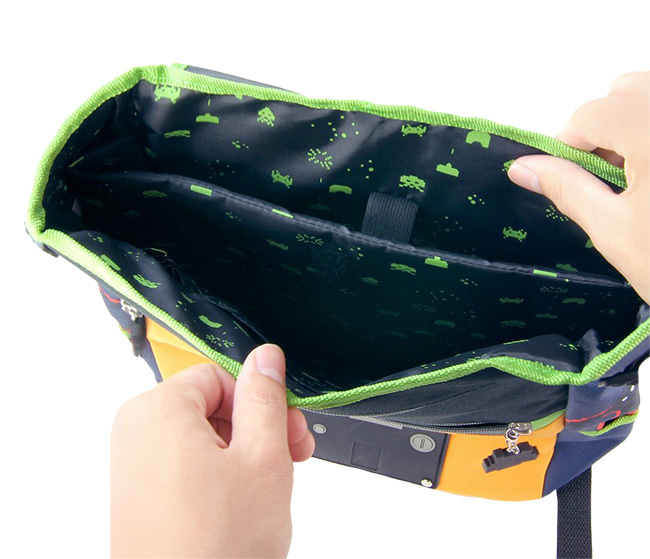 The water resistant backpack features an “invader design on zippers, silicone arcade cabinet buttons and an insert quarter hole,” and more. As fun as carrying around an entire arcade cabinet on your back is, we decided to do something a lot more practical… and also something that will raise fewer eyebrows. 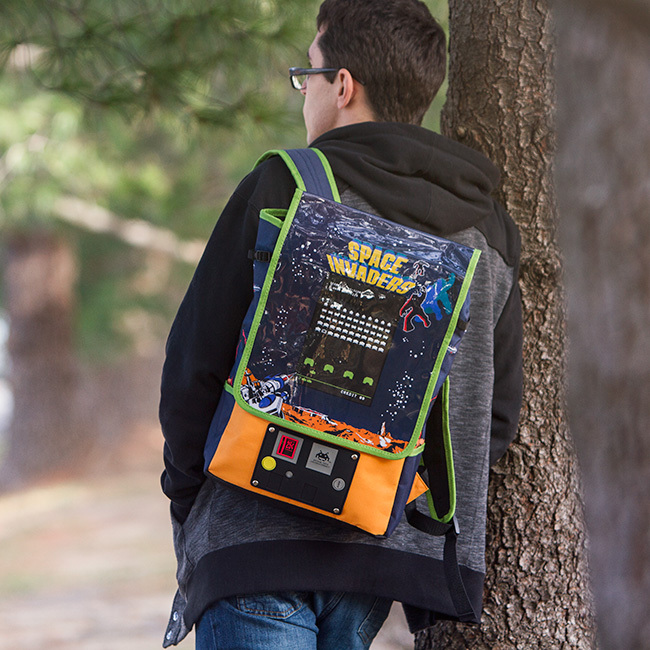 We made one of the most iconic arcade games of all time into a backpack. 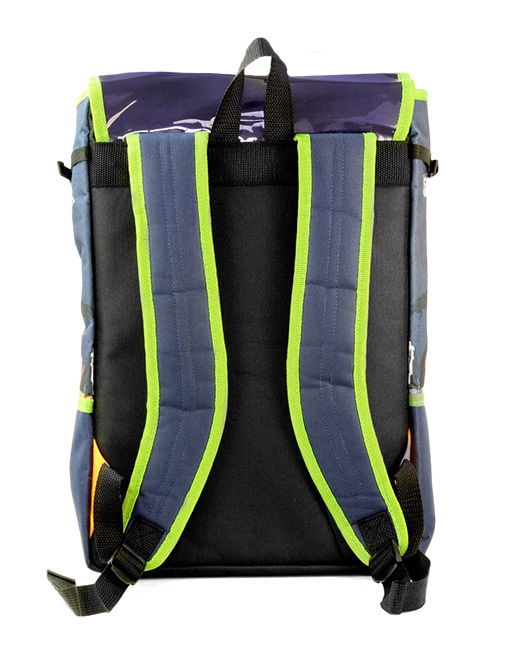 A backpack that holds all the fancy things you need to beat back the increasingly speedy invaders, or just the stuff that you need to take notes in class or carry your stuff around. Whichever. That’s the glory of it! You’re prepared for all occasions! 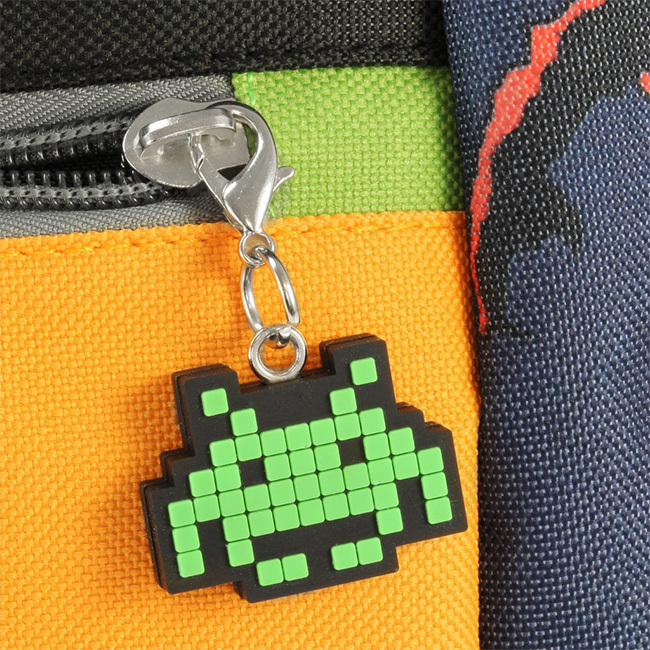 Hold all the necessities to keep an invading alien army at bay with the Space Invaders Arcade Cabinet Backpack. Plenty of pockets and sleeves to hold all your pew pew laser ammo for taking down small, large, and medium enemies. It also holds regular people stuff, too, for when you’re taking some time off, hiding behind the bases at the bottom of the screen. 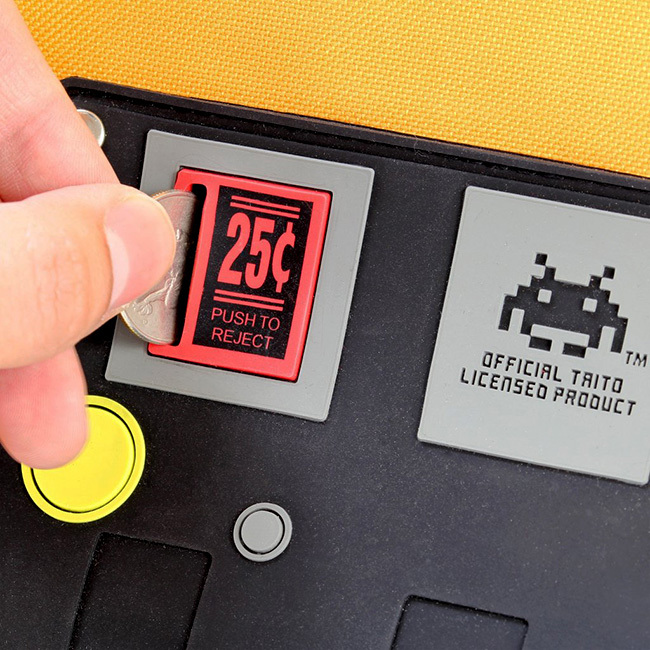 Added bonus – you can stick your finger in the quarter slot! That is not a euphemism.